Although online casinos have their advantages, most gamblers would agree that you can’t beat the at-mosphere of a brick-and-mortar establishment. 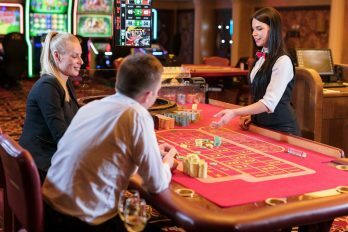 In this article, we explore 7 different casinos to visit in your lifetime. Currently, the Venetian Macao is the worlds biggest casino. 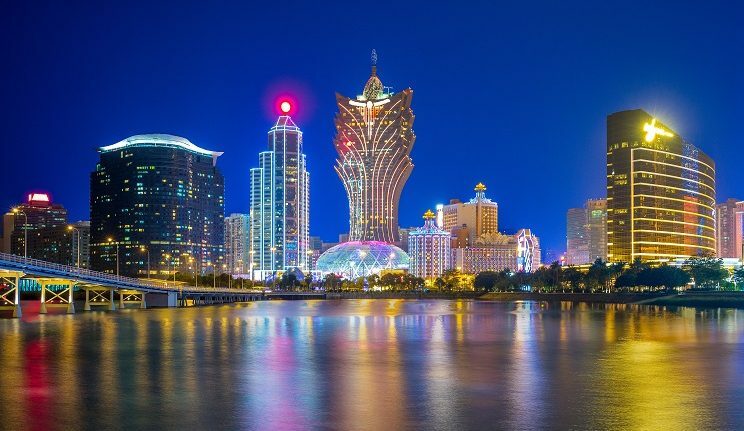 Situated in the city of Macau, the casino at-tracts wealthy gamblers from all over the world. You may have heard of a casino in Las Vegas called the Venetian, too. Interestingly, both of the establishments are owned by the same company – Las Vegas Sands Corporation. As the largest casino company in the world, it’s no surprise that Las Vegas Sands owns two of the biggest casinos. Considered to be the most beautiful casino of all time, the Venetian Macao is modelled on it’s Las Vegan sister. At the time of writing, the casino is also the 4th largest building in the world. With an incredible 980,000 square metres of floor space, the casino is second only to Dubai International Airport Terminal 3, the New Century Global Centre, and CentralWorld shopping complex in Thailand. With that much floor space, it’s no surprise that the Venetian Macao is more than just a casino. Classed as a holiday resort, the establishment boasts 3,000 guest suites, convention space, and a host of shops, restaurants, and bars. Another casino to visit in your lifetime is the Casino at the Empire. Located in London, the establishment is owned by Caesars Entertainment, another one of the worlds leading casino operators. In addition to owning the Casino at the Empire, the company also own The London Club in Cairo and Caesars Palace in Las Vegas. Built in an old Victorian music hall known as ‘The Empire’, the casino attracts customers with its beautiful structure and impressive history. Built over 130 years ago, the establishment offers an authentic gambling experience. Located in the bustling location of Leicester Square, it attracts plenty of passing trade from both locals and tourists. 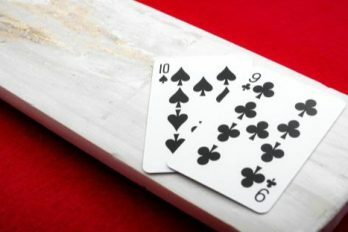 When visiting the casino, gamblers can enjoy a range of unique games including punto banco, pai gow, and American roulette. However, if you prefer to stick with what you know – don’t panic! There are plen-ty of classic games to choose from, too. If you’re a fan of Poker, the Casino at the Empire will not disap-point. Ranked as one of the best poker rooms in the UK, gamblers can play a range of cash games, leagues, and tournaments. If you’re interested in beautiful architecture, Casino de Monte Carlo is definitely worth a visit. Located in Monaco, the casino has close links to the famous fictional spy, James Bond. The establishment was first associated with the Bond films after being used as the inspiration for Casino Royal. The building can also be seen in earlier Bond films including Never Say Never Again and Goldeneye. Build in 1863, Casino de Monte Carlo is one of the oldest casinos of all time. Much like the Venetian Ma-cao, the establishment is more than just a casino. Classed as a luxury resort complex, the building houses the Les Ballets de Monte Carlo and the Grand Theatre de Monte Carlo. In addition to these popular at-tractions, the casino is equipped with a number of guest suites for those looking to turn their visit into a short break. In terms of casino games, gamblers can enjoy a range of games including craps, blackjack, stud poker, and baccarat. The casino also boasts a choice of electronic table games and video slots. Situated in the heart of Italy, Casino di Campione is one of the most renowned European casinos. If you’re looking for a casino with a view, look no further than this establishment! Built on the banks of Lake Lugano, gamblers can enjoy the scenery whilst splashing their cash. Another thing that makes the casino intriguing is its impressive history. First opening in 1917, it was origi-nally designed to attract foreign diplomats and obtain sensitive information during the war. 90 years after its initial opening, the casino moved to a new venue in 2007. Casino di Campione is equipped with nine gaming floors and an additional three fours for customer park-ing. Boasting over 500 slot machines and 50 table games, the casino has something for gamblers of all sorts! As well as the classic table games, the establishment is equipped with a range of electronic table games, too. 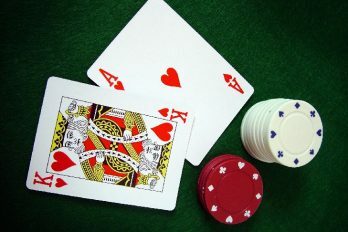 Gamblers can choose between traditional and digital poker, roulette, baccarat, and blackjack. Securing a spot in the ‘top ten casinos in the world’, the Borgata is another one to visit in your lifetime. Located in the gambling resort of Atlantic City, it is easily accessible via public transport. Like many of the casinos on this list, the decor of the Borgata is beautiful. Attracting people from all over the world, gam-blers can enjoy the gorgeous Egyptian style of the building. The Borgata boasts an impressive 161,000 square feet of gambling space, making it the biggest casino in Atlantic City. With over 4000 slot machines and 100 table games, there is something for players of all sorts! In addition to casino space, the Borgata is equipped with a number of restaurants, nightclubs, and over 2000 guest suites – ideal for tourists who want to avoid a late-night journey home. The final casino on our list is the MGM Grand Las Vegas. As well as offering impressive casino amenities, the establishment is the largest single hotel in the USA. When it first opened in 1993, the MGM was the largest casino in the world. Although it has now been overtaken by the Venetian Macao, the establish-ment is still up there with the top contenders. The 30-floored building is packed with restaurants, night-clubs, shopping malls, and even a wedding chapel. The casino also boasts six additional buildings for ac-commodation and parking. Whether you’re an experienced gambler or you’re just starting out, the casinos above have something for people of all sorts. As always, it’s important to consider your financial situation before stepping foot in a casino. However, if you’ve got some spare time and a handful of disposable income, the casinos above will not disappoint.